This is the IC-910D which is used for 144Mhz, 430Mhz and 1200Mhz band all mode at 50W max output (10W on 1200Mhz band). 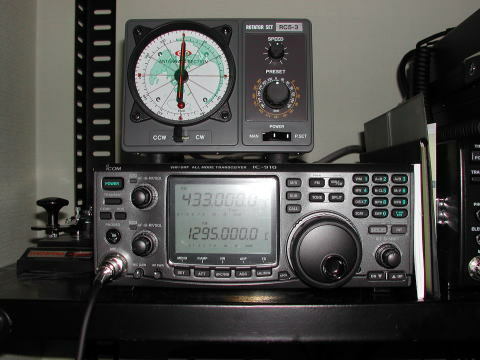 There are many HAMs on 430Mhz band and enjoy QSO in the band. The picture is not goos SRI. This picture is taken with flash light. It is better to see. The box above the IC-910D is the controller for the CREATE rotator. 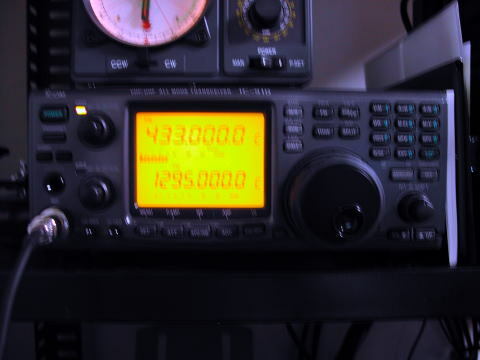 I love 430Mhz band because I can talk to many hams about many topics. CW QSO in the band can be heard on the lower edge, but the QSO is often WABUN code QSO.